Here is another one of those 'holy cow' moments when you look at this latest release from Caracal Models. This set is part two of the Mirage III in Australian and as you can see here, it would be quicker to tell you which subjects this set doesn't cover. 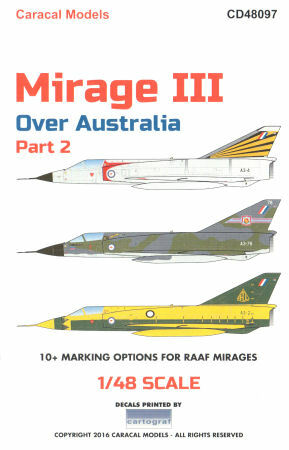 With this release, you can replicate just about any RAAF Mirage III at virtually any point of time in its service. The instructions focus on 10 subjects, but you can see from these three sheets of decals that you have much more flexibility. 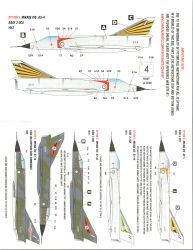 This set actually covers 12 subjects and is designed for the Kinetic Models Mirage III kit. At the time of this first-look, the instructions for the last two examples were not yet available on the Caracal website but keep checking back. 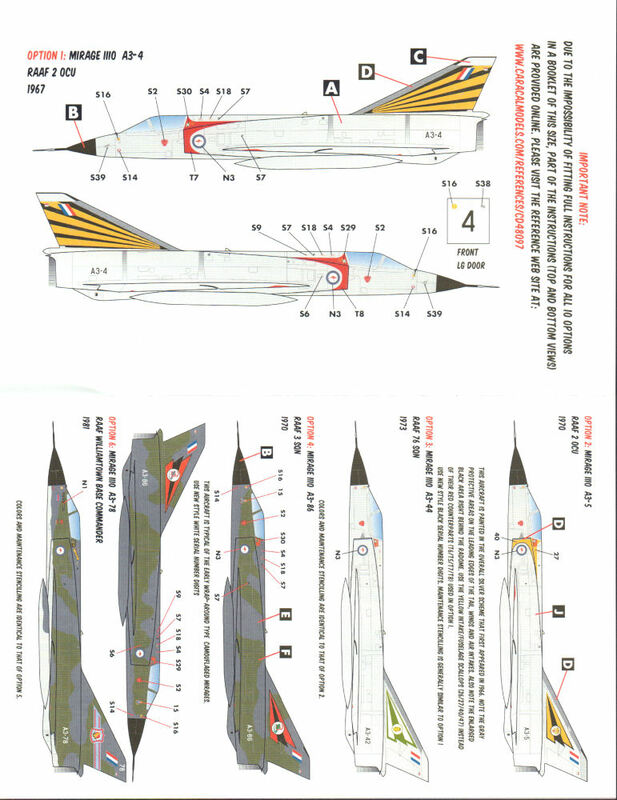 This is about as comprehensive a decal release as you can produce when you can replicate nearly every Mirage III in service. 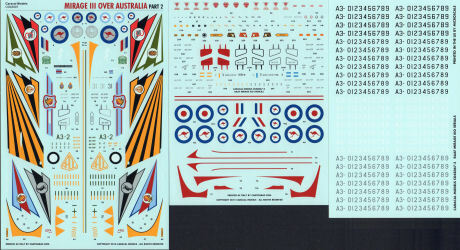 The RAAF operated 116 aircraft and this set provides markings for every squadron and training activity along with several styles and sizes of national markings and stencils to cover the service between 1964 through 1988. Nice work!